Give your kitchen sink a stylish and practical makeover with the Squareline Plus one and a half bowl kitchen sink offered by Everhard. 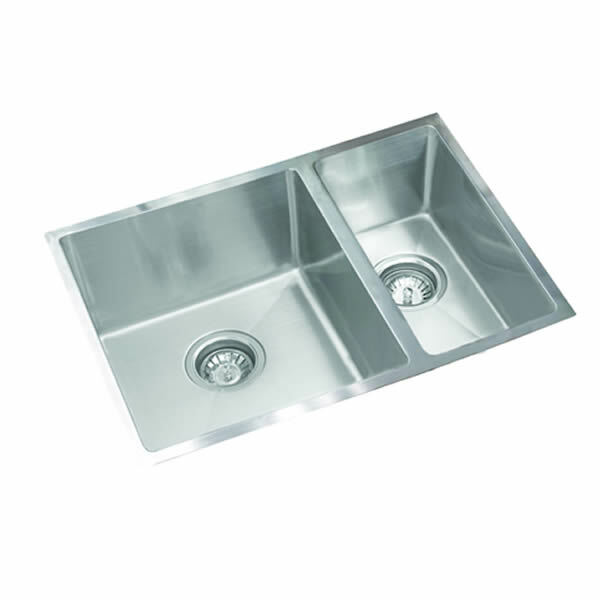 Featuring a unique design, this sink can be installed either as a top mounted or an undermount unit. 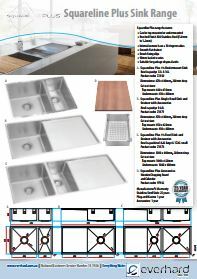 The Squareline Plus sink is manufactured to fit standard kitchen cabinets as well as modular kitchen cabinets. With elegant looks and a sophisticated design, this kitchen sink will complement any designer drawers, cupboards or cabinets in your kitchen. The Squareline Plus kitchen sink is highly functional and measures 670x440x200mm in size. 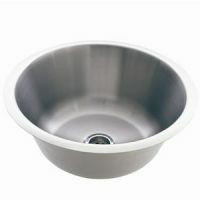 It features two bowls of capacities 32L and 16L and contains two 90mm basket wastes as well. 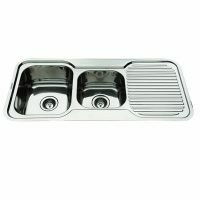 A stainless steel colander and a wooden chopping board are also provided with this kitchen sink. A quality product from Everhard, this kitchen sink is manufactured using 304-grade stainless steel with 1mm in thickness and sports a sublime brushed finish. Thanks to clever design, the interior corners feature 10mm radius, which makes it incredibly easy to clean. As a mark of quality, Everhard backs this product with solid guarantees. So what are you waiting for? 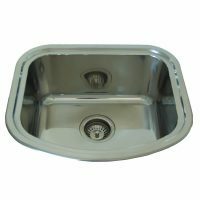 Buy this Everhard kitchen sink at an attractive price from Ross’s Discount Home Centre and make your kitchen a more practical space. An accessories kit for Squareline Double Bowl Undermount Kitchen sink can be purchased separately. (Product code: 97942) Includes stainless steel colander and wooden chopping board.